Château L’Evangile's wines are described in an old edition of “Grand Vins de Bordeaux”, as “full-bodied and elegant, with incomparable finesse". The Léglise family from Libourne founded the property that was to become Château L’Évangile. They were actively involved, around the middle of the 18th century, in the creation of Pomerol’s vineyards. L’Évangile appeared in the 1741 land registry under the name of Fazilleau. A remarkable decade of vintages from 1995 to 2005 crowned the work with success. Among these, 1995, 1996, 2000 and particularly 2005 stand out as truly exceptional ! 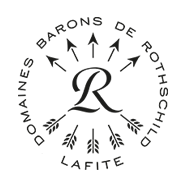 The vineyard is managed by Eric Kohler, Technical Director of the Bordeax Châteaux, assisted by Operations Manager Jean Pascal Vazart. The vat room and cellars were rebuilt in 2004 to make them better suited to plot selection. The grapes from each plot are separated into batches in order to judge their potential for use in the Grand Vin at the end of fermentation. Traditional and modern winemaking methods are closely associated in all of the winery’s operations. Fermentation in vats is carried out using the traditional method of pumping over and controlled maceration, with frequent tasting. 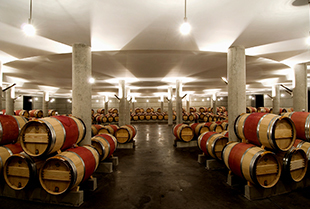 Once fermentation is completed, the wine is matured in oak barrels for 18 months. 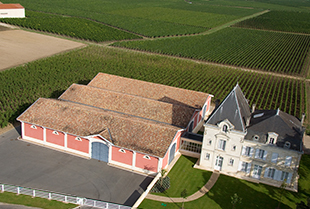 Rigorous selection is carried out in producing Château L’Évangile and the second wine, Blason de L’Évangile. The average production of Château L’Évangile and its second wine Blason de L’Évangile is 5,000 cases. The property is closed from August until the end of October. A tasting is offered after the tour of the property.